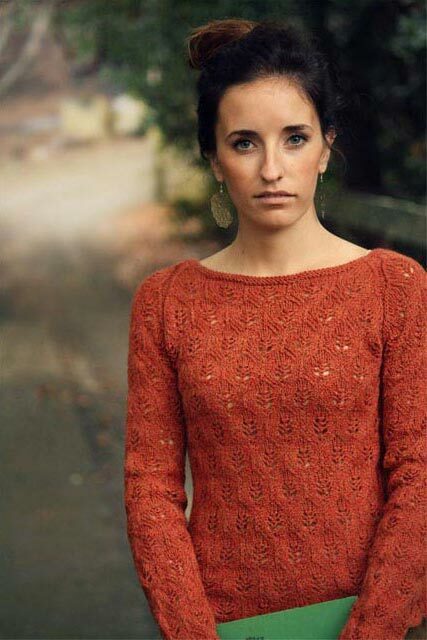 The delicate leaf-lace stitch pattern makes this a perfect lightweight sweater for the transitional months. 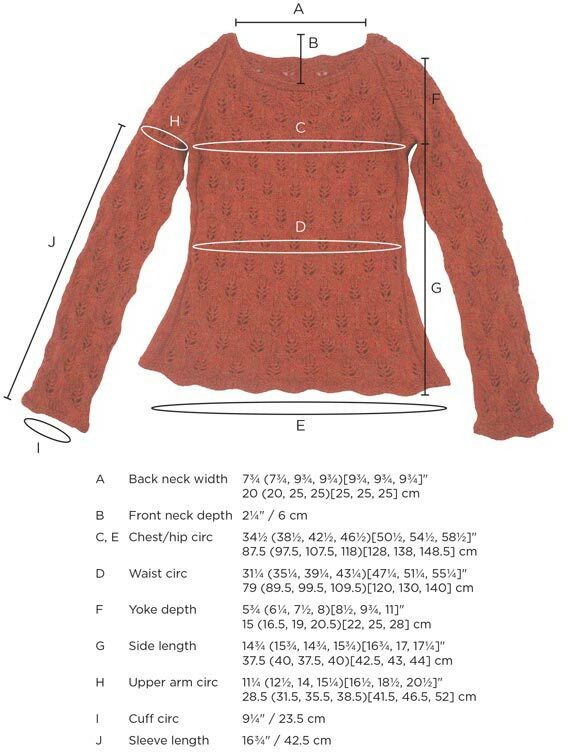 Waist shaping is worked in stockinette stitch on the sweater's sides producing a flattering contour. Autumn's End is worked from the bottom up in the round. Finished chest: 34� (38�, 42�, 46�)[50�, 54�, 58�]"/ 87.5 (97.5, 107.5, 118)[128, 138, 148.5] cm. 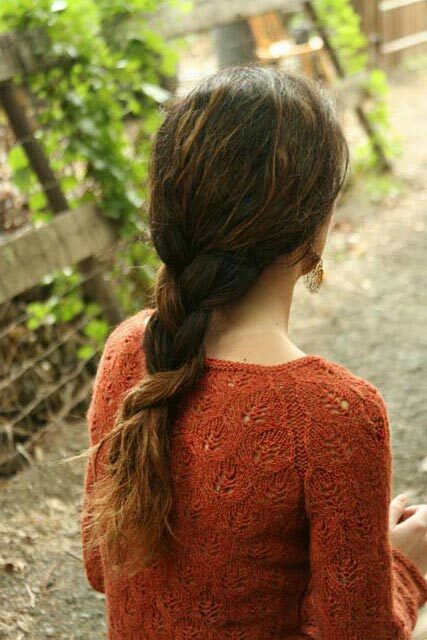 Length: 21� (23, 23, 24�)[26, 27�, 29]" / 54 (58, 58, 62)[66, 70, 74] cm. Shown in size 34�" / 87.5 cm; to be worn with 3�4" / 7.5�10 cm of positive ease. 6 (7, 8, 9)[10, 11, 12] skeins Berroco Ultra Alpaca Light [50% Super Fine Alpaca, 50% Peruvian Wool; 144 yd / 133 m per 3� oz / 50g skein] in #4268 Candied Yam OR approx 825 (900, 1050, 1175)[1325, 1500, 1675] yd / 750 (825, 975, 1100)[1225, 1375, 1525] m of a sport weight wool or alpaca blend. Alternate Yarns: The Fibre Company Road to China Light, Blue Sky Alpacas Sport Weight. 20 sts and 26 rows over 4" / 10 cm in St st worked flat and in the rnd on US7 / 4.5 mm needles or size needed for accurate gauge.